Provenance: Private collection since 1971. Condition: Please do not hesitate to contact us for a full condition report or further assistance. Painter in oil, especially of East Anglian coastal scenes and landscapes. 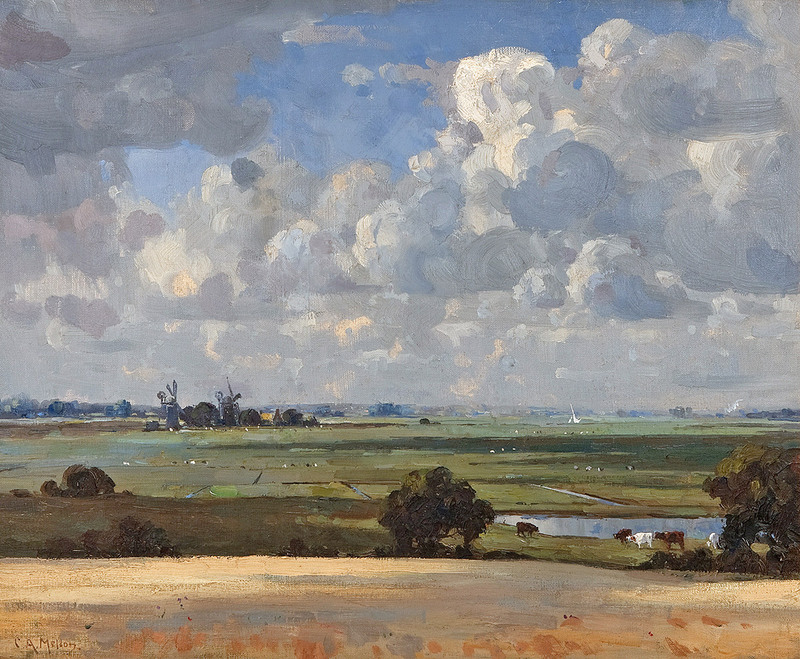 Having studied painting privately with Carl Brennir in Nottingham, Mellon went on to settle in Gorleston-on-sea, Norfolk at the end of World War I, where he had tuition from Arnesby Brown. Mellon became known for his small and enchanting, yet uncomplicated paintings of the Norfolk landscape and seaside scenes. His artwork is held in public collections and art galleries in Bristol, Yarmouth and elsewhere. Mellon exhibited at the Royal Academy, the Fine Art Society, was also a member of the Royal Society of British Artists and the Royal Institute of Painters. Enquire about "Campbell Archibald Mellon (1876-1955)"